This nature park, located at Kaminishidera, Ofukucho, Mine in the eastern foothills of Mt. Gambi, features a beautiful landscape with a mountain trail and stream alongside it. The “Takibiraki” event takes place here on the first Sunday of July each year. 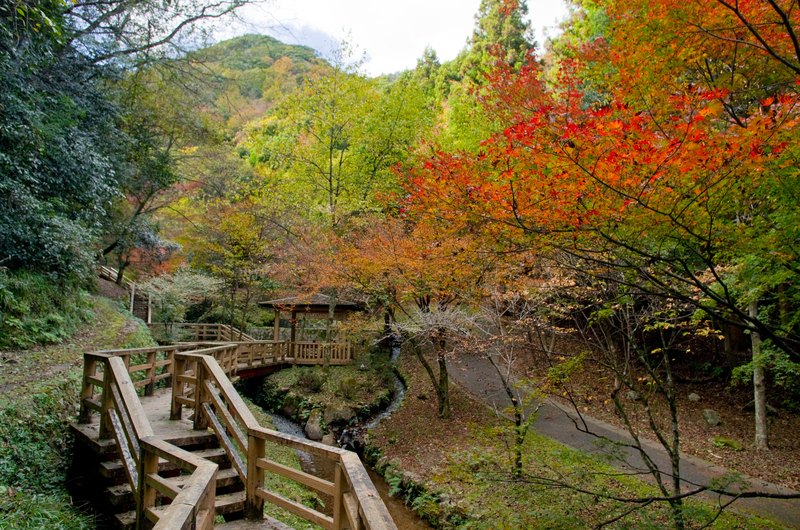 Visitors can enjoy nagashi somen in summer and colorful leaves in fall.